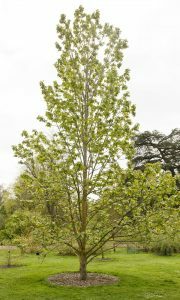 Ever noticed bright orange covered twigs and tree trunks in the landscape – especially as you pass farms or on busy road verges? Or bright orange rocky zones at the coast? The orange colour is probably coming from lichens which thrive where nutrients are abundant – along roadsides where there is nutrient-rich dust and nitrogen dioxide from car exhaust fumes; near industrial agriculture and animal production creating ammonia deposits; in sea spray zones along the coast; or here, on the nutrient-rich bark of a Poplar tree. Lichens are different colours because of the chemicals made by the fungi. More than 700 chemical compounds are known from lichens, most of which only occur in lichens and no other fungi or higher plants. 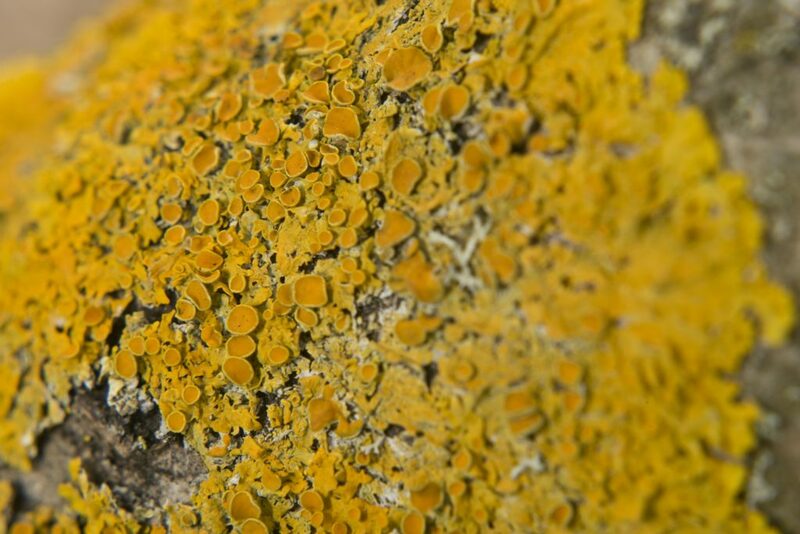 Some lichens such as Xanthoria parietina are able to tolerate nutrient-rich environments. These chemicals are thought to help protect the lichen from UV rays, and from being eaten by animals. they are also used to help identify different species of lichen. The orange pigment in the leafy lichen Xanthoria parietina acts a bit like suncreen, protecting the algae within the lichen from damaging UV rays. If this species of lichen grows in a shadier spot, such as the underside of a branch, it will need less of this pigment and the resulting colour of the lichen is more green-ish grey.